“Mary edwards walker” by National Library of Medicine, Images from the History of Medicine, B010947 – http://www.nlm.nih.gov/changingthefaceofmedicine/gallery/photo_325_3.html. Licensed under Public Domain via Wikimedia Commons. To wrap up WikiWomen’s history month, we’ve been highlighting articles about women that have been created or improved by student editors. This week, we’ll look at some biographies of notable women across multiple fields. From Dr. Tobias Higbie’s Working Class Movements class at UCLA, read about Katherine Phillips Edson, a Californian social activist who advocated for fair wages for women in the early 1900’s. From Dr. Demetria Shabazz’s Race, Gender and the Sitcom course at UMass Amherst, read about Jeannie MacPherson, one of the youngest directors in Hollywood, who moved from a starlet to a co-writer of many Cecil B Demille directed films. Or Marion E. Wong, a Chinese-American film producer, actress, and screenwriter who, in 1916, produced the first all-Chinese film in the US at the age of 21. 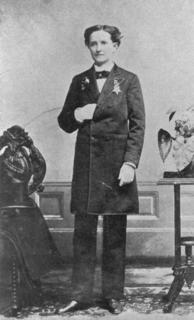 From Dr. Karyl Ketchum’s Gender and Technoculture course at California State University, read up on Mary Edwards Walker, a Union surgeon who was the only woman to receive the Medal of Honor in the United States.